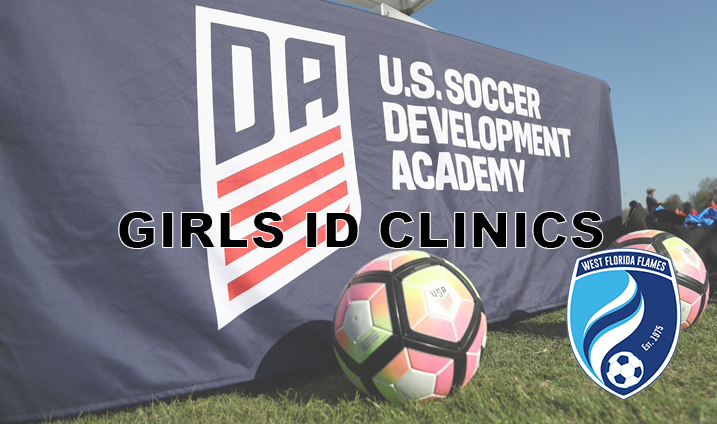 The West Florida Flames Girls Development Academy Staff will be hosting Identification Clinics in the months of March and April for the 2019/2020 season. In these sessions the DA staff will be evaluating players interested in playing within an environment purely focused on developing players to compete at the highest level. Players who wish to attend the ID Clinics must pre-register at the link below. The ID Clinics will take place at our Brandon Campus. Registration number must be used at all ID Clinic dates that you are in attendance.